FRIDAY, May 6, 2016 (HealthDay News) -- Regular aspirin use may lower the risk of bile duct cancer, a new study suggests. The study included nearly 2,400 bile duct cancer patients and a control group of more than 4,700 people without the cancer. About 25 percent of the bile duct cancer patients and 45 percent of those in the control group took aspirin. 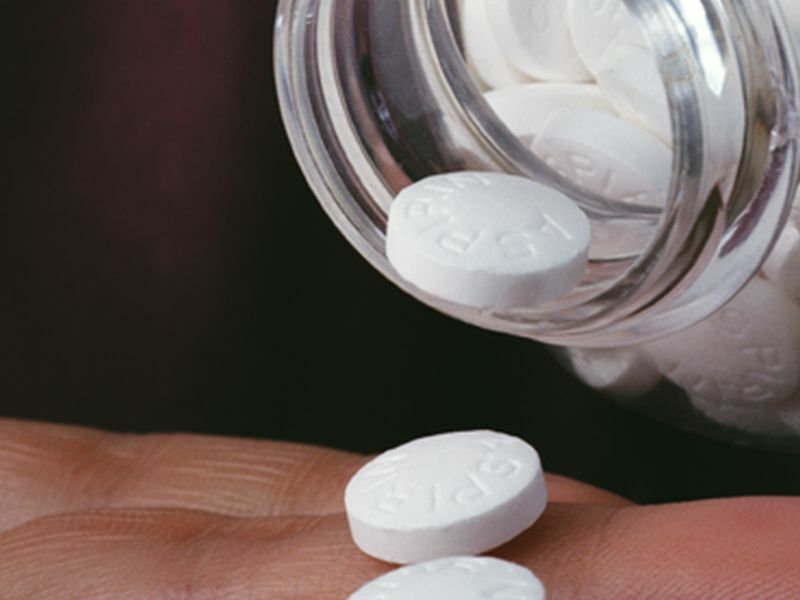 Overall, people who took aspirin were roughly three times less likely to develop bile duct cancer than those who did not take aspirin, according to the study published online April 26 in the journal Hepatology. The findings do not prove that aspirin caused the risk of bile duct cancer to drop. However, "chronic persistent inflammation is one of the key elements that promotes cancer of the bile ducts, and well-known risk factors for bile duct cancer have all been shown to increase the risk for bile duct cancer by inducing chronic inflammation of the ducts," study co-leader Dr. Jonggi Choi said in a journal news release. "Aspirin is an anti-inflammatory agent and may reduce the risk of bile duct cancer by reducing inflammation... Previous studies have shown that aspirin also blocks additional biological pathways that promote cancer development," added Choi, who did the research while at the Mayo Clinic College of Medicine in Rochester, Minn. The bile ducts move the fluid bile from the liver to the small intestine, where it helps digest fats in food. Bile duct cancer is a rare disease, affecting less than 3,000 people in the United States each year, according to the American Cancer Society. The findings suggest that further research on the potential for aspirin to prevent bile duct cancer is warranted, the study authors said. "The next steps should include population-based studies examining the associations of aspirin use with risk of bile duct cancer and also clinical trials, particularly in populations at high-risk for bile duct cancer, to confirm the benefit of aspirin for bile duct cancer prevention," said study co-leader Dr. Lewis Roberts, also of the Mayo Clinic College of Medicine.